Thanksgiving isn’t one of those holidays where people typically throw elaborate get-togethers. It’s really more about gathering with family and friends, eating a good meal and celebrating the many blessings you have in your life. But that doesn’t mean that you can’t add some fun and style to your Thanksgiving dinner. We’ve got some fabulous and free ideas for making your holiday perfect! 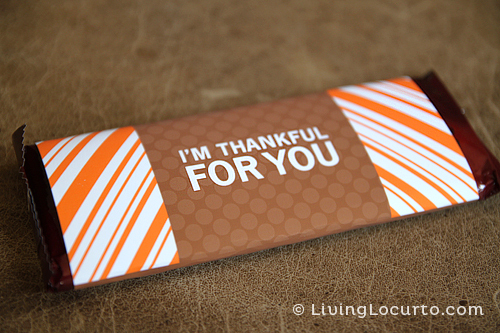 Adding some festive printables to your Thanksgiving event can really add something special to your autumn decor. 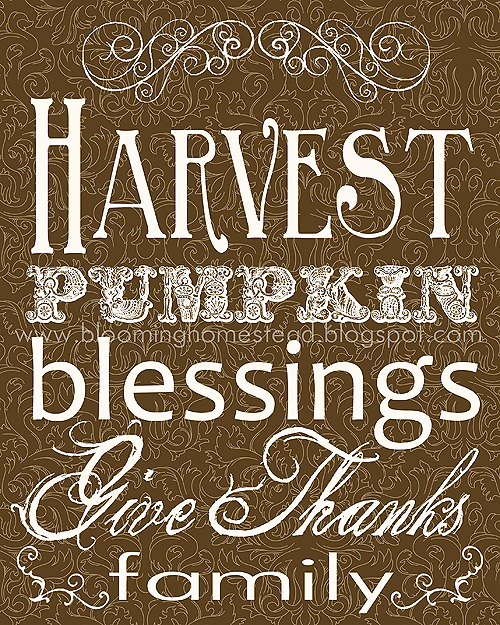 These free harvest style printables from Blooming Homestead are elegant and could really be a nice tie in with typical fall décor like pumpkins, gourds, mums, etc. 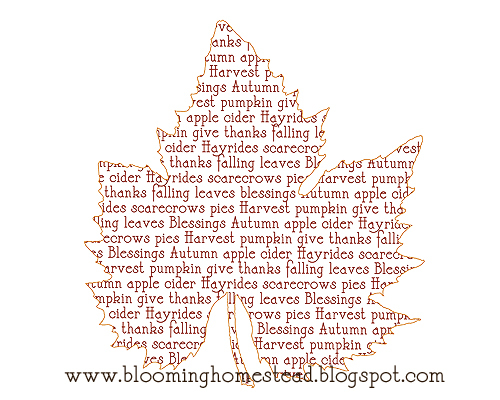 Just stop by Blooming Homestead and download and print as many as you’d like. If you are looking for more of a complete party printable package, then you will love this set from Dimple Prints. This set includes everything from banner pennants to menu cards and water bottle wraps. This set is perfect for setting the scene for a beautiful Thanksgiving gathering. Want to know the best part? They are completely free! 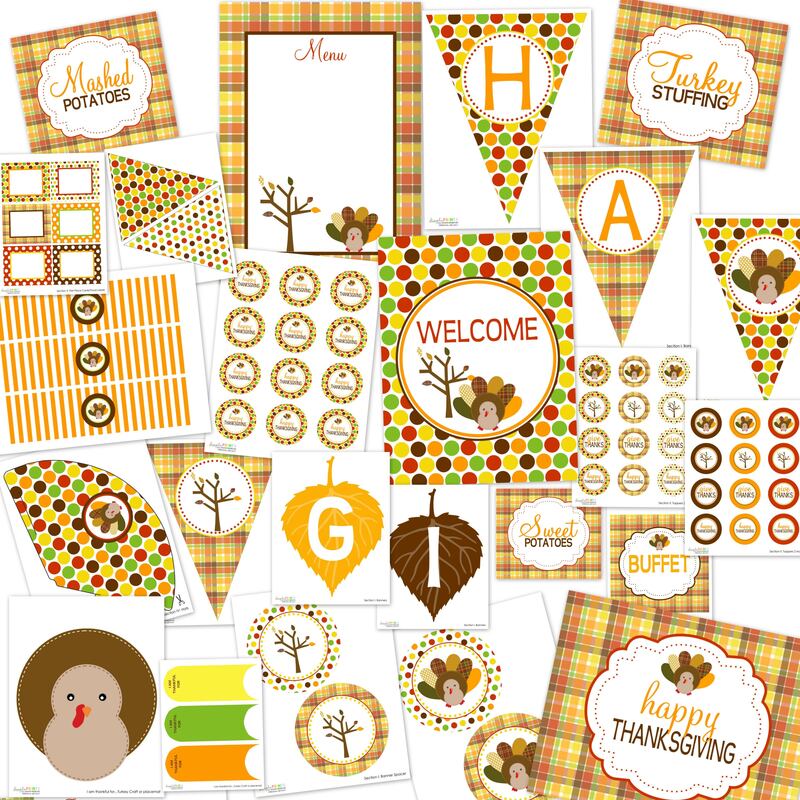 Thanksgiving Party Printable Package from Dimple Prints[/caption] When you are setting up the kids’ table for Thanksgiving – what’s better than finding items that will make the table look cute and keep the kids entertained? We found these amazing Thanksgiving crafts from Alphamom. 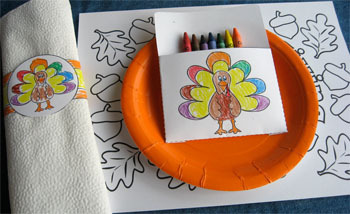 This craft set includes items for the kids to color that will also double as place settings. 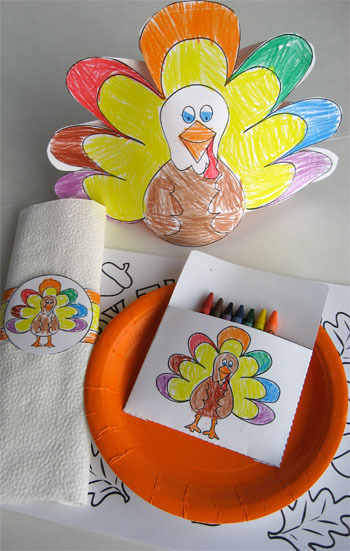 There are fun turkey napkin rings, crayon holders and pop-up turkey centerpieces for the kids to create and enjoy. 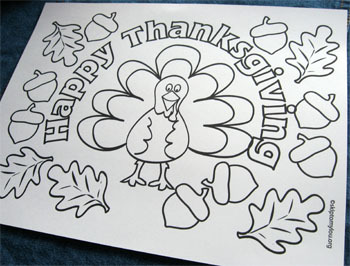 They can also try their artistry on a fabulous Thanksgiving placemat. The little ones will love the activities and seeing their artwork dress up the table. Kids Table Setting from Alpha Mom[/caption] Of course everyone is looking forward to eating a delicious meal on Thanksgiving. So, while you are slaving away in the kitchen, it would be nice to have something to keep your guests occupied, right? If they are engaged in activity, they can’t ask you when dinner will be ready for the millionth time! 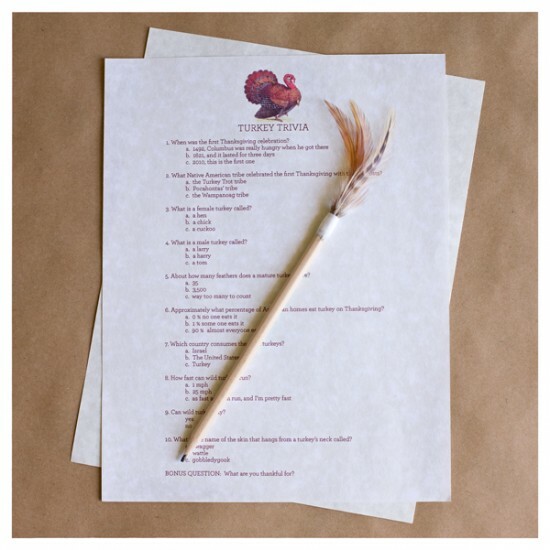 So, why not keep the adults busy with some Thanksgiving Trivia from Prettie Parties. We even found a trivia version for the kids. Check out this Thanksgiving Quiz from One Charming Party. Why not reward the top scorers with a sweet treat? 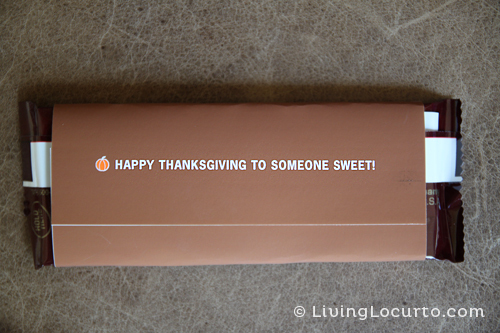 How about a yummy candy bar packaged in this custom Thanksgiving wrapper from Living Locurto? It’s adorable and would also be a great item to give guests to take home with them. What do you do for Thanksgiving? Keep things simple and low key, or do you take the opportunity to style the event? Let us know in the comments below.